The Broadway classic “The Phantom of the Opera” will grace the stage of the BJCC Concert Hall April 5-16. Produced by Cameron Mackintosh, directed by Laurence Connor and overseen by Matthew Bourne, the North American tour presents the musical tale like never before. New costumes, design elements, lighting and staging have been implemented to create an updated version of Andrew Lloyd Webber’s esteemed masterpiece. It features a 52-person cast and orchestra as well as full creative team bringing the drama to the United States. Experience your favorite Phantom, Christine and company moments in a whole new light for two weeks only. The musical is part of Theatre League’s annual Broadway in Birmingham lineup at the BJCC. It is the last show of the 2016-2017 series before the new series picks up in December. Other acclaimed shows from the past season included “Broadway Christmas Wonderland”, “Dirty Dancing”and “Once”. “The Book of Mormon” will also play as a season add-on in October. Tickets start as low as $50 and range up to $600 depending on date and seating choice. 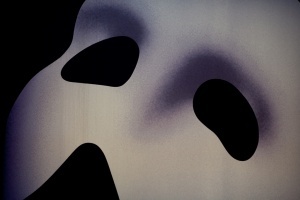 For more information about ticketing, the Birmingham production of “The Phantom of the Opera” or the upcoming season, visit http://theaterleague.com/birmingham. For over 70 years the NBA has reigned over the basketball world. But did you know that there is another professional basketball league? The American Basketball Association was founded in 1967 and has continued to redevelop the game of basketball during its existence. In fact, the ABA introduced the three-point shot as well as slam-dunk contests into the basketball world. Since innovation is a core value of Birmingham, it makes sense that the city would be home to one of these pioneering teams, so in 2011 Birmingham welcomed the Magic City Blitz. The team was 3-3 in Gulf Coast conference play during their 2016 season. The ABA organization is not new to the Magic City. The Birmingham Magicians played two seasons in the city and folded in 2006.